Isole Pontine is the archipelago of volcanic origin located in the Tyrrhenian Sea, off the coast of Odysseus. Many amazing legends are associated with these picturesque islands. In the era of the Roman Empire, their unsurpassed beauty attracted the noblesse. Like hundreds of years ago, today Pontine Islands are considered to be the ideal place to stay, so thousands of visitors from all over the world come to local resorts every year. Only two islands of the archipelago are inhabited; those are Ponza and Ventoten. The most popular hotels, as well as a large part of the important sights and equipped beaches are situated there. As noted above, the active exploration of the islands took place back in the prehistoric era. Since ancient times, fishing has been one of the main industries of the indigenous population; it still is, as fish farms on the islands may prove. 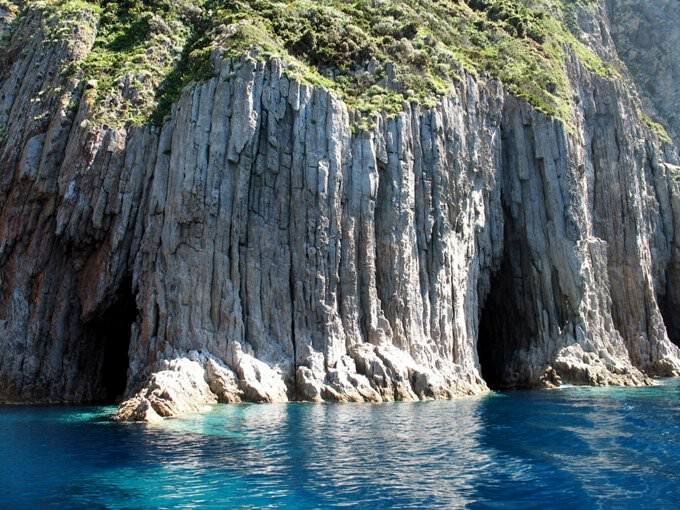 The largest and most interesting among them is Grotto di Pilato located on the island of Ponza. Several fish pools also survived in the eastern part of Ventotena, but the main historical treasure of the picturesque island are ruins of an ancient port. The large-scale port has been constructed here by the Romans; later several large prisons were built on the island, which served as places of exile. The tiny uninhabited island of Zannone that is part of the National Park of Circeo is the best fit for admiring nature. This fabulously beautiful island is home to hundreds of rare species of birds, so while walking tourists can see graceful flamingos, cormorants and rare white-tailed eagles. A number of rare plants is also incredibly large. Zannone is considered one of the most beautiful islands of the archipelago. Here, in addition to the exotic birds and animals, the rare zen oak can be seen. The uninhabited Palmarola Island features numerous grottos and caves formed by volcanic activity. The island is considered to be the most interesting from geological point of view. Some part of priceless historical monuments and natural attractions is hidden under the water, so the Pontine Islands don’t cease to attract snorkelers. During dives, divers can see amazing coral reefs and rare representatives of marine life, as well as sunken ancient ships. 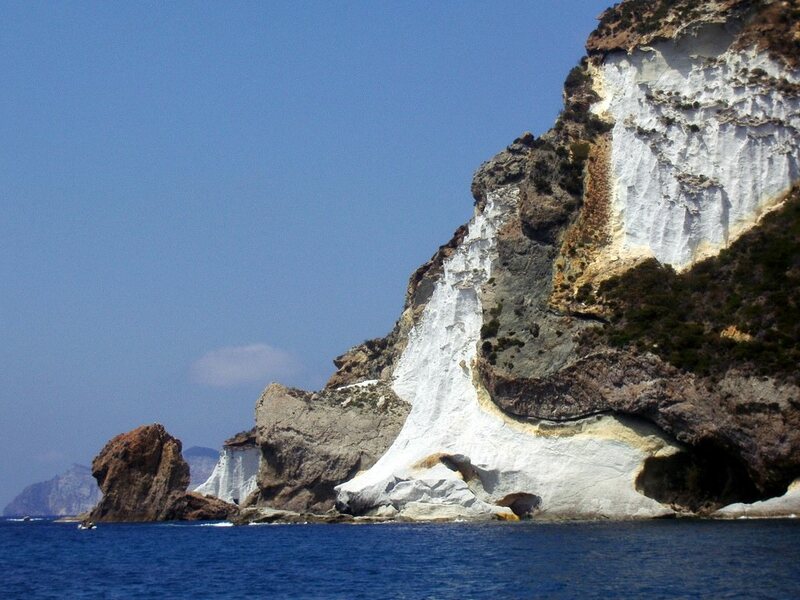 Ponza Island is incredibly popular with fans of beachside entertainment and diving. Travelers will find everything they want and even more on the famous beach of Chiaia Di Luna. Here, not far from the coast, there are beautiful reefs that even beginner divers can admire. There are almost no strong waves on this beach, so nothing will prevent visitors from swimming and sunbathing in an absolutely comfortable way. Several diving schools are open in the resort area. In recent years, numerous high-class hotels and balneology centers have appeared on the island. Despite the fact that the territory of Ventotene Island is a protected area of a national park, some beaches are still open for tourists. On certain months, interesting marine excursions are available to guests of the island. During these tours, attendees can see whales and dolphins. Santo Stefano Island is an uninhabited one. It is a perfect destination for hiking and observing the beauty of the local nature. The terrain makes it easy to explore the island on foot. In some parts of the island, there are still beautiful basaltic rocks that were formed during the volcanic eruption millions of years ago. Family holidays with kids in Isole Pontine. How to entertain your child, things to show to children. In terms of natural landmarks, the uninhabited island of Palmarola remains the most interesting destination. The island is only 1.3 square kilometers large. The coastline of the island is very complicated and is distinguished by numerous beautiful rocks and grottoes, as well as underwater caves. There are also several attractive beaches and many interesting sites for scuba diving. Every day, interesting excursions take place along the island’s coastline. The size of one more uninhabited island, Zannone, is less than one square kilometer. The island is also a part of the national reserve. It is a fantastic place where visitors can see rare endemic plants and dozens of species of migrating birds. This guide to iconic landmarks and sights of Isole Pontine is protected by the copyright law. You can re-publish this content with mandatory attribution: direct and active hyperlink to www.orangesmile.com. All about Isole Pontine, Italy - sightseeings, attractions, touristic spots, architecture, history, culture and cuisine. Prepare your trip together with OrangeSmile.com - find out the 'must see' things in Isole Pontine, which places to visit, which excursions to take, where the breathtaking views are waiting for you. Planning your trip with this travel guide will help your to get the most out of Isole Pontine in few days.